Growing risk of U.S war on Venezuela | Fight Back! Supporters of President Nicolás Maduro rally. It is clear to anyone with any sense - the United States and its lackeys want to provoke Venezuela into a war. Events seem to be spiraling towards this. The officials in the Trump administration continue to say that "all options are on the table," including military intervention, to remove Maduro from power and defeat the Bolivarian Revolution. At the moment, it seems to be the only option left. They first tried to defeat Maduro through elections, yet their lackeys in the opposition made themselves so unpopular with their embrace of reactionary violence and a weak political program that they could not beat him. Then they tried to assassinate Maduro in the bombing of a military parade on August 4 - that too failed. Next, after anointing Guaidó president, the imperialists called on the FANB high command to break from Maduro and launch a military coup. That too, failed - the most they got were a couple dozen soldiers, the highest ranking among them a lieutenant, who tried to steal some guns, and all ended up in prison. The entirety of the FANB high command is not only loyal to Maduro on a constitutional basis (Guaidó has no legal leg to stand on with his claim that he can be declared president), but they are politically committed to the revolutionary goals of the Bolivarian movement. You are as likely to see a book of essays by Fidel Castro in the office of Vladimir Padrino Lopez, the Defense Minister and head of FANB, as you are a book on military theory. Meanwhile, the rank and file of the military comes from those classes and social sectors who have benefited the most from the Bolivarian Revolution. 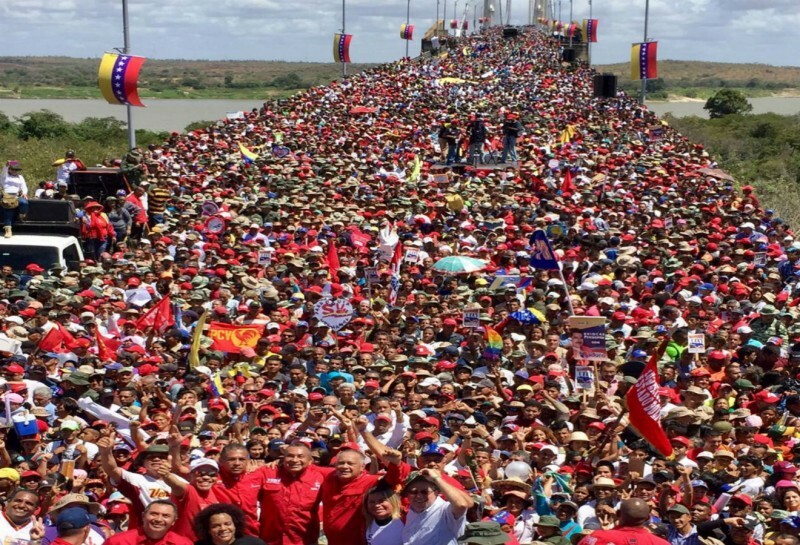 Many of them were born after Chávez first came to power in 1998 - they know nothing but the country they live in that has won its freedom through hard struggle. They will certainly defend it at all costs. In the current reality, the United States faces the Maduro government - democratically elected and backed by the "civil-military union" of the millions of members of the Bolivarian movement and the entirety of the FANB - with an opposition so unpopular that over 80% had never heard of Juan Guaidó before he declared himself president. They cannot vote Maduro out of office, they cannot kill him, and they cannot get the military to overthrow him. Do they have any other option left other than invasion? Venezuela is not Iraq in 2003. It has not suffered two disastrous wars followed by over a decade of genocidal sanctions. 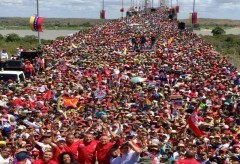 Its 350,000-strong military, backed by over a million member Bolivarian Militia, is well-armed, is backed to the hilt by the popular masses, and has very high morale. It includes in its arsenal the largest anti-aircraft missile system in Latin America, and the backing of the Russian military. 300,000 troops were required to defeat the crippled Iraqi army in 2003 - how many would they need to defeat the Venezuelan army in 2019? And if they managed to defeat the military, how many soldiers would be needed to pacify a population that has been radicalized by decades of revolutionary struggle? How long would they need to occupy a nation that would every day fight unrelentingly to drive the invaders out? In a recent essay on Tribuna Popular, the press organ of the Communist Party of Venezuela, Colombian activist Adalberto Santana raises a truth that must terrify the ruling classes of the Americas: "If a U.S. military operation takes places on Venezuelan soil, the Trump government must know it will lead to a war across South America." The Bolivarian Revolution has not happened in a void - it is the latest expression of a decades-long continental struggle to end the U.S. empire. If war comes to Venezuela, the reactionary regimes of Colombia, Brazil, Ecuador, Argentina, Chile and Honduras will be rocked to their core by popular revolt. There is already a popular rebellion taking place in Haiti, partly fueled by their government's complicity in the attempted overthrow of Maduro. In the face of this unconquerable strength, Santana ends his essay with a piece of advice of Donald Trump: "the best he can do to stay in the White House is get his hands out of Venezuela."